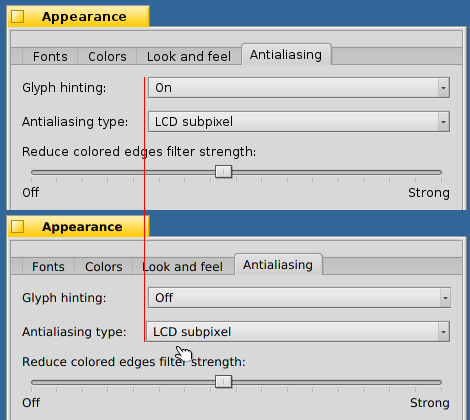 Set "Glyph hinting" to "off"
Set "Antialiasing type" to "Grayscale"
Now the combobox for "Antialiasing type" moves a few pixel to the left. The position can be reset by clicking "Revert". That looks like a layout kit bug, not an Appearance bug.